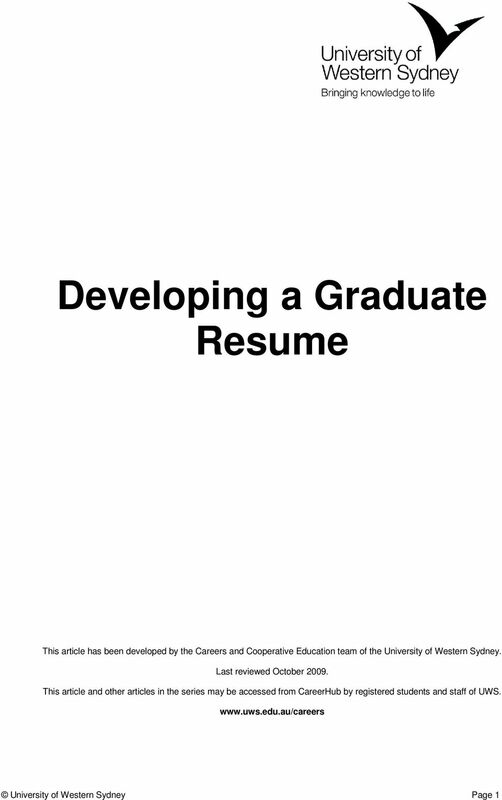 Download "Developing a Graduate Resume"
When applying through the VU intranet site be sure to follow the instructions on how to apply, particularly when applying for multiple positions. Internships and Academic Seminars. Résumé Tutorial. 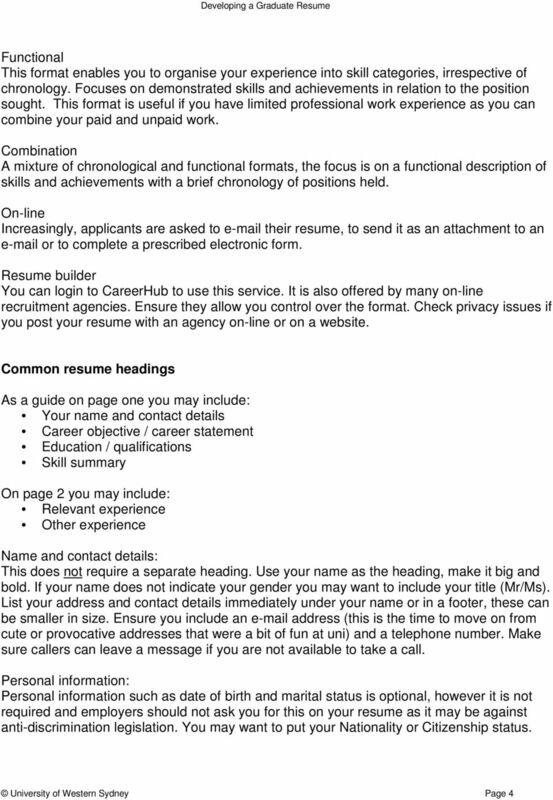 RESUME GUIDELINES Writing a Resume A resume is a brief sketch of your abilities, goals and experiences which aids a potential employer in determining whether you are qualified for a particular position. 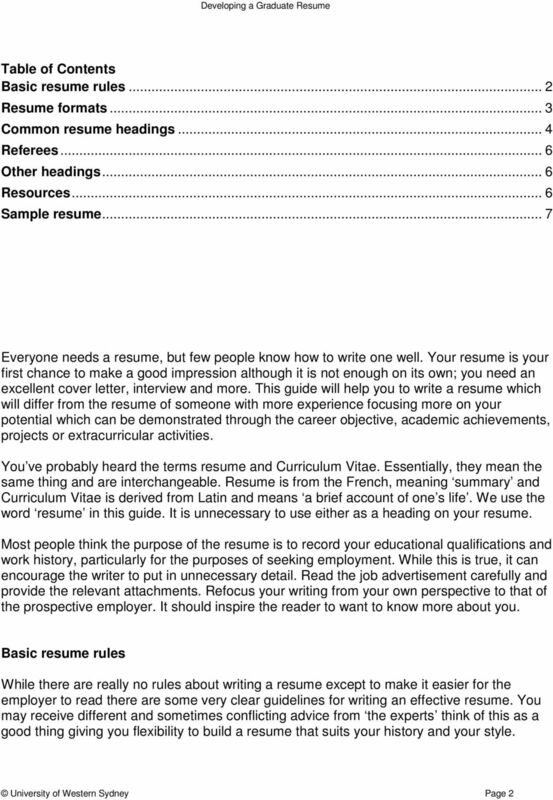 Resume writing tips. 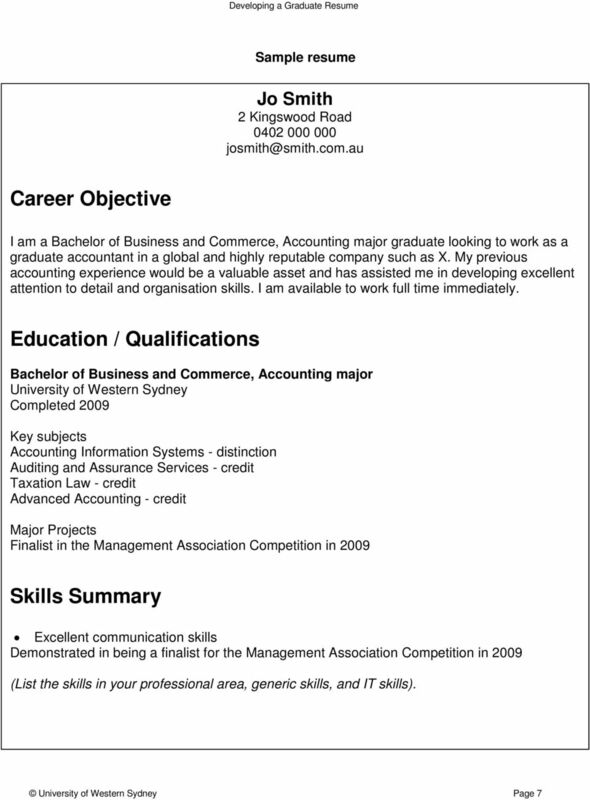 Effective advice for creating a winning resume. You do not have to include everything you have ever done just what is relevant and POSITIVE! 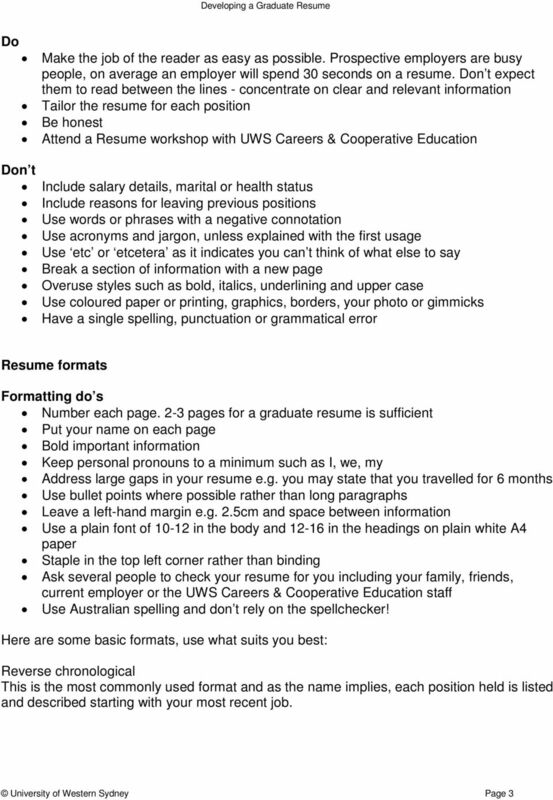 Outline of a Chronological Resume - BCom The Chronological Resume is the resume of choice for most recruiters and a one page resume is generally what campus recruiters prefer with two pages being the maximum. Workshop Aims. Your Fit. 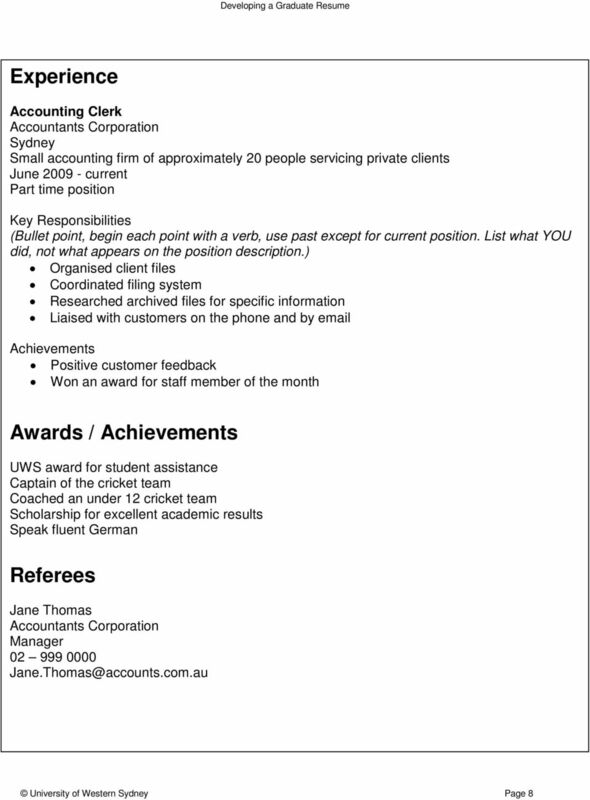 Graduate Attributes. What do you have to offer? NURSING & MIDWIFREY. 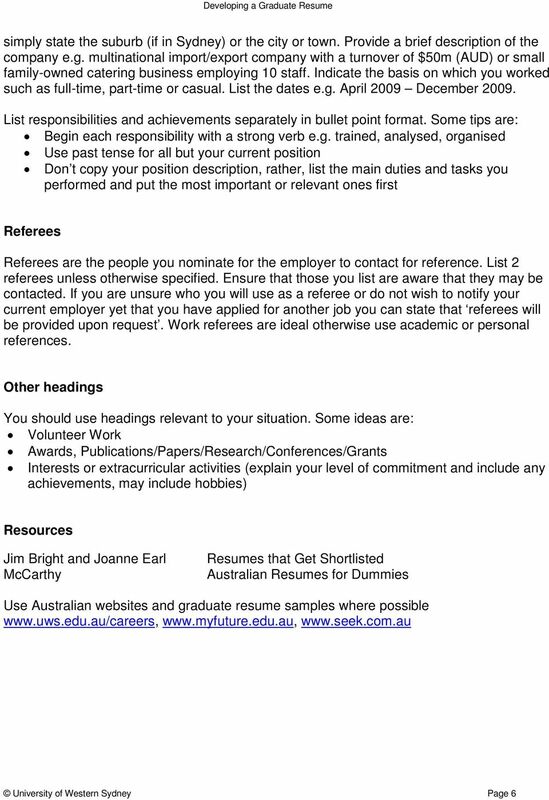 www.careers.usyd.edu.au. EDITING AND PROOFREADING. Read the following statements and identify if they are true (T) or false (F). 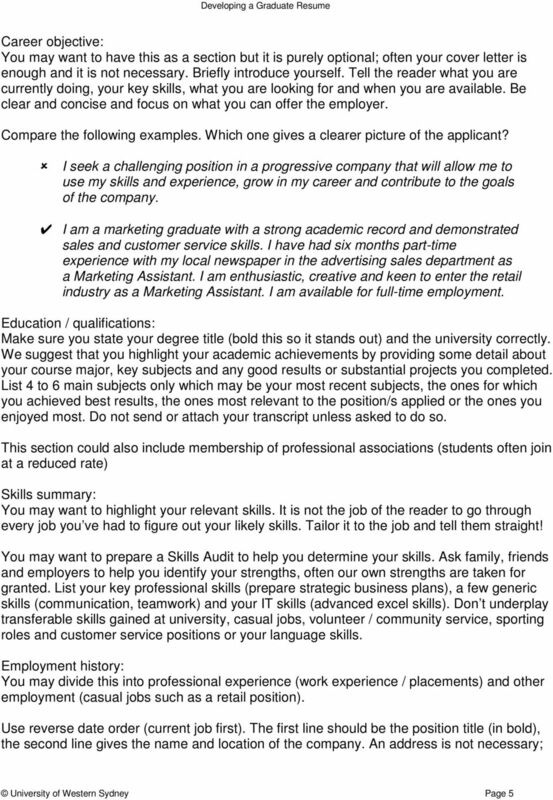 Writing a Resume Published October 2015 Resume overview A resume is your introduction to a prospective employer and should showcase that you are an excellent choice for the position for which you are applying.